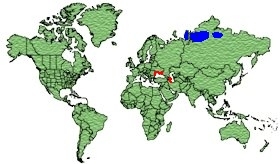 Northern Siberia from East Yamal peninsular to the Khatanga River. 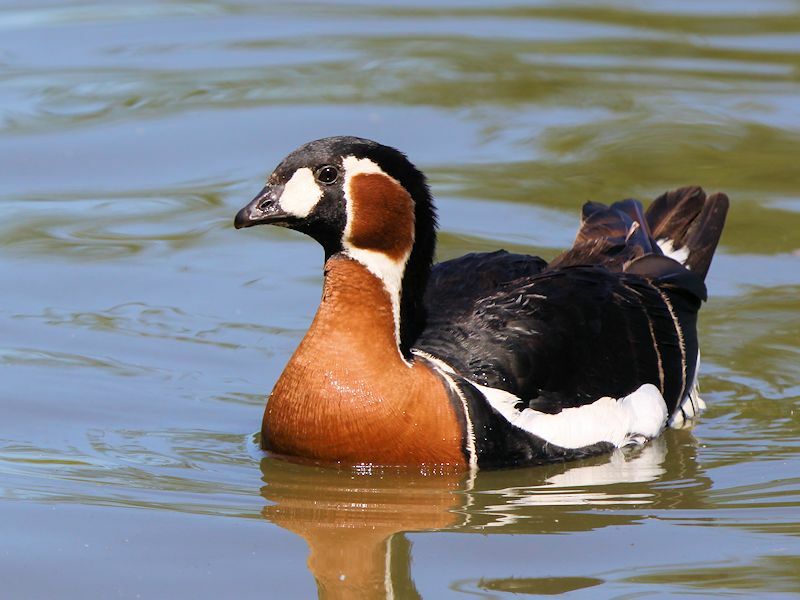 Winter in Bulgaria, Romania, Ukraine and occasionally Azerbaijan. 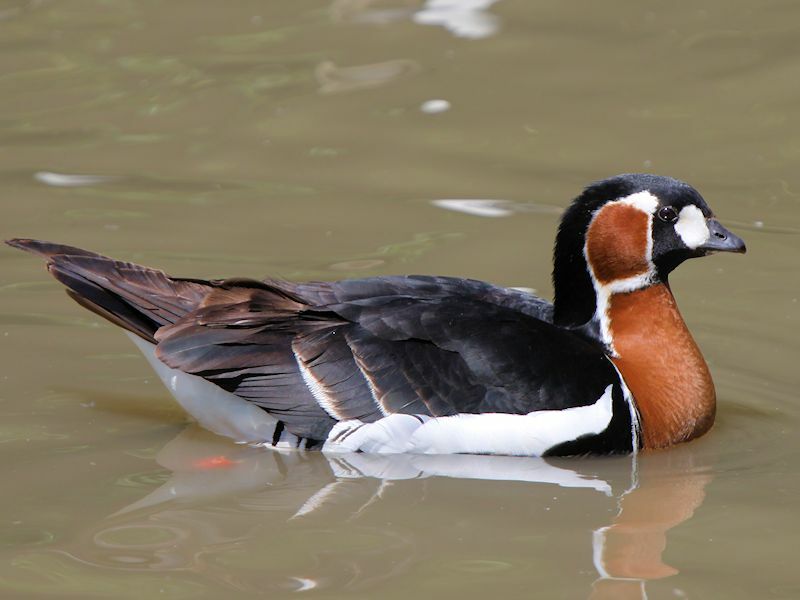 The male has dark Sooty plumage with white patches in front of the dark Grey bill and also a White band around Chestnut Red sides of the head. 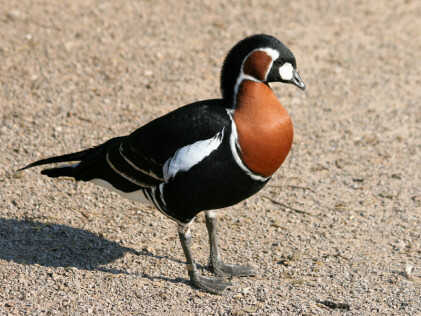 The breast is Chestnut Red with a White border, the tail coverts are White and the tail is sooty Black. The legs and feet are Grey. 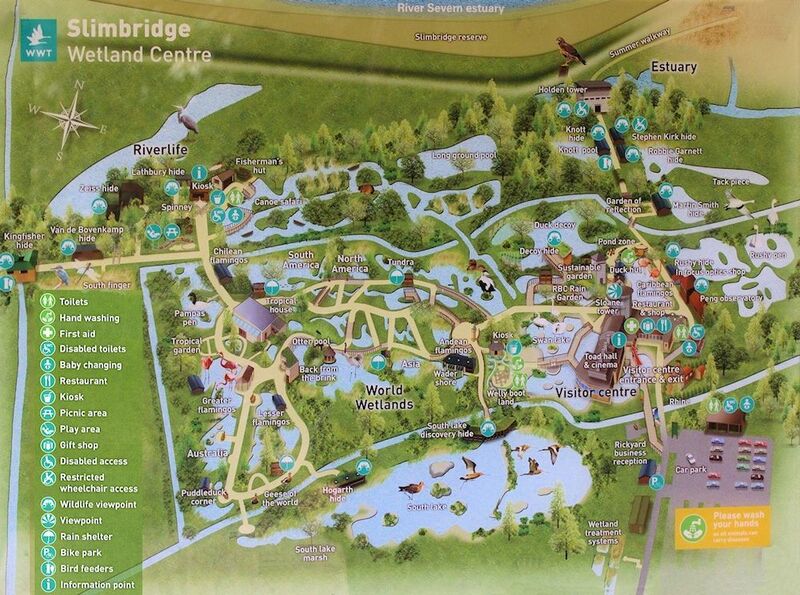 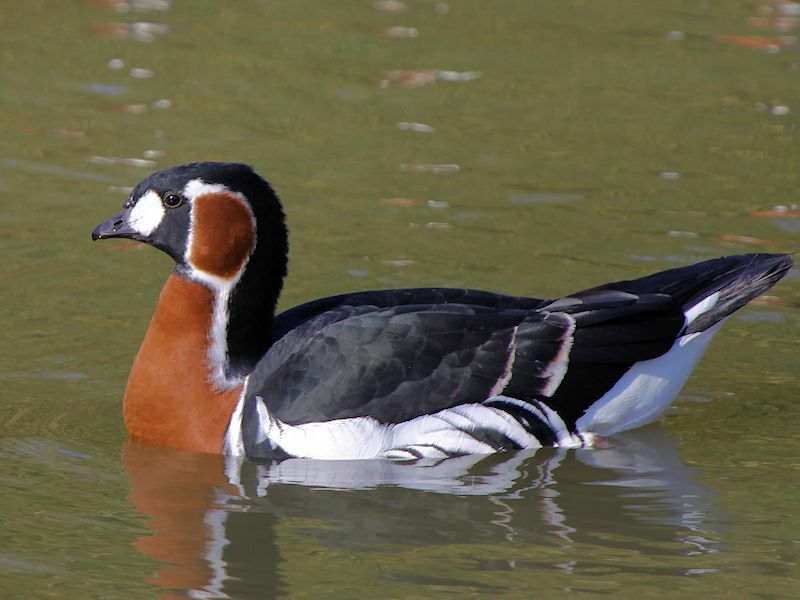 Tundra, Wooded Tundra and lakes. 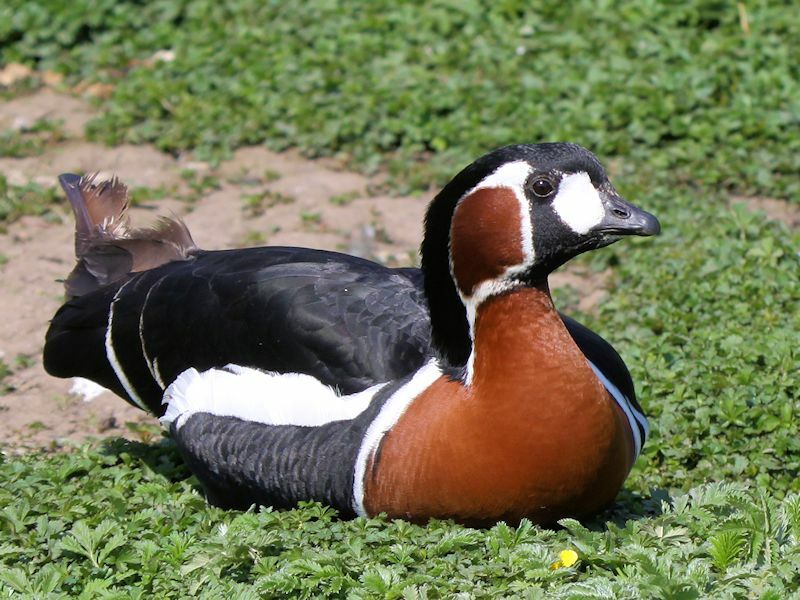 Often nests close to birds of prey as a defence against predators such as the Arctic Fox. 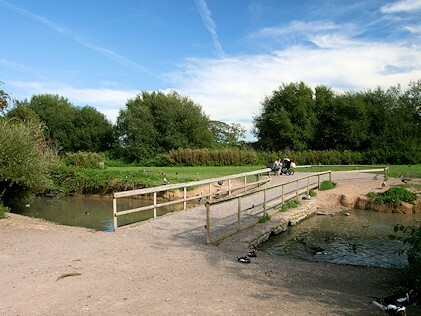 Colour: White with Greenish Tinge. 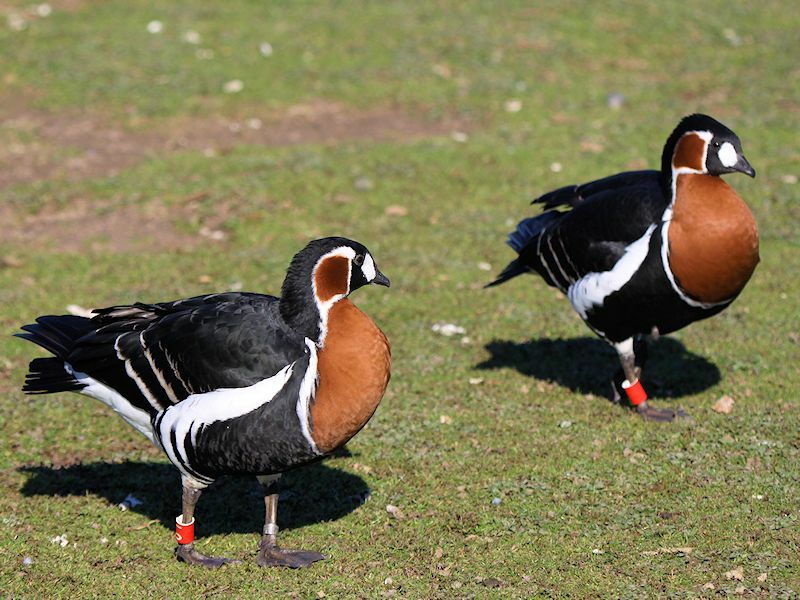 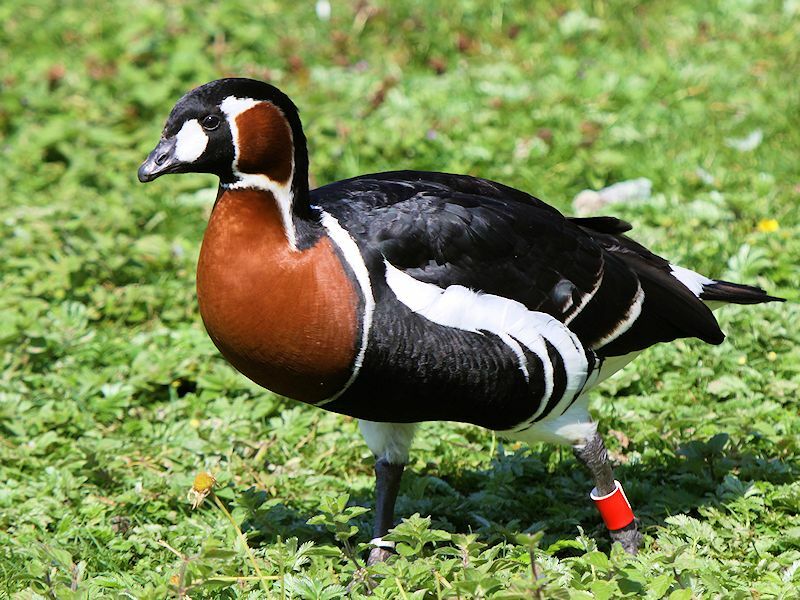 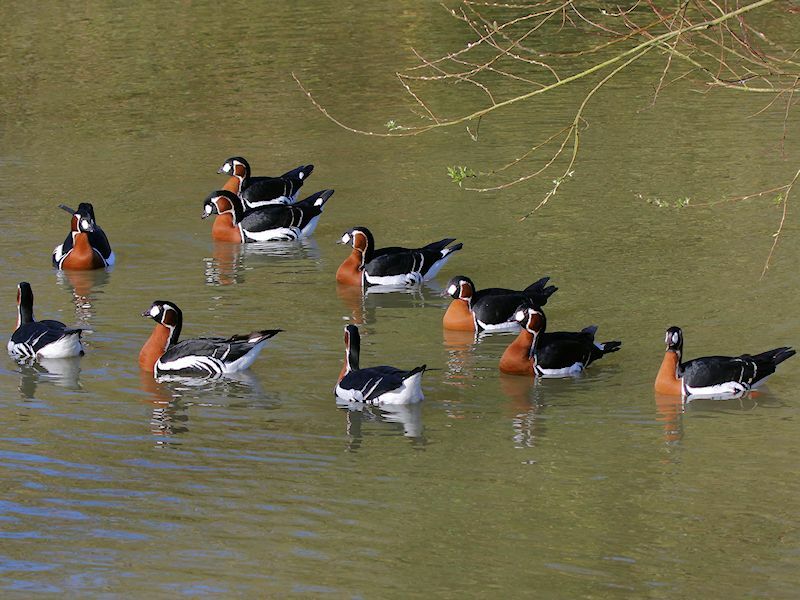 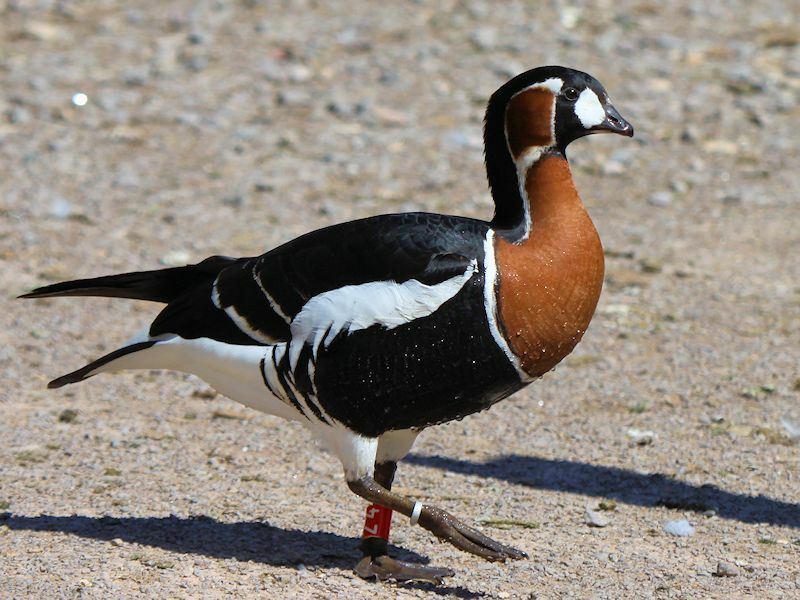 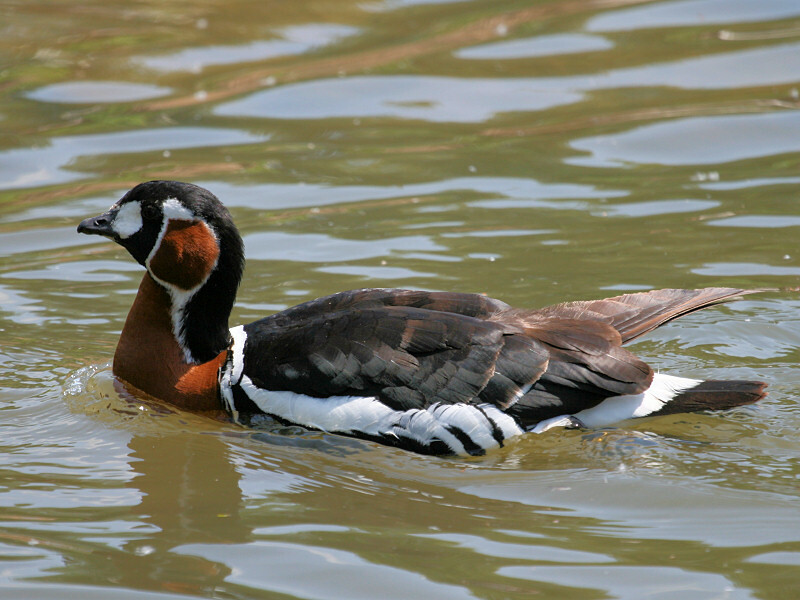 The Red-Breasted goose is native to Eurasia and is of the Branta genus and is a relative of the Brent Goose, despite its appearance. 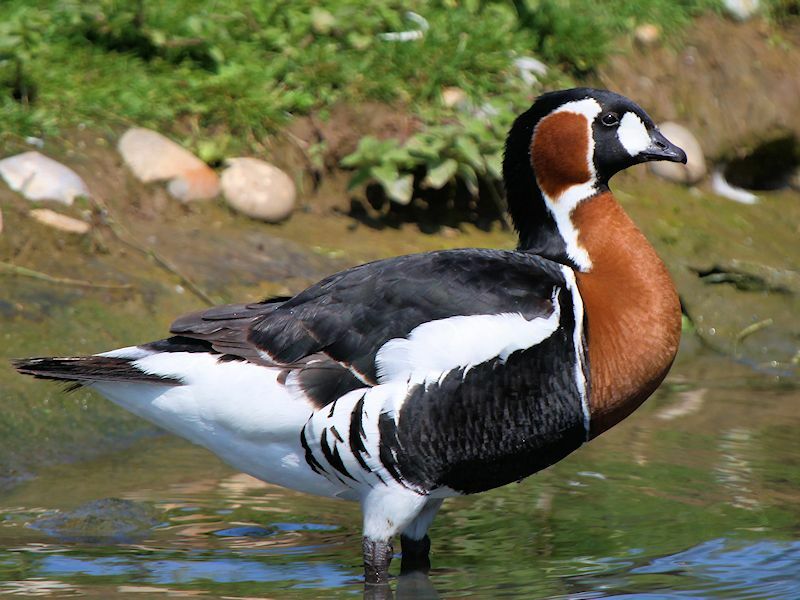 The Branta species are distinguished by their dark colour with White markings to distinguish them from the genus Anser which are Grey geese. 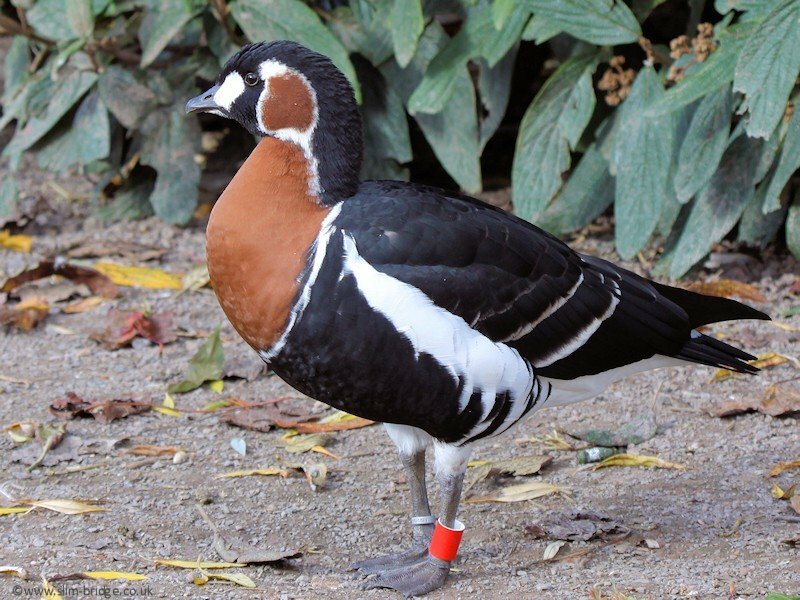 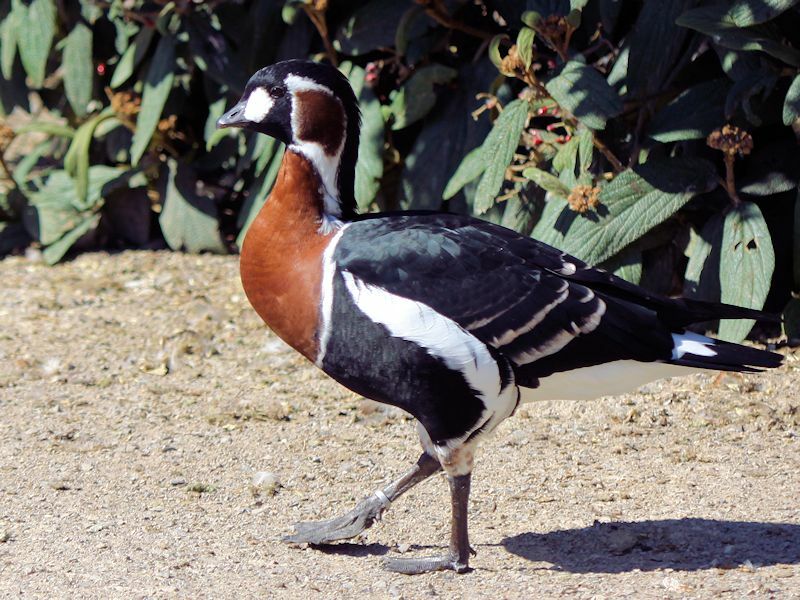 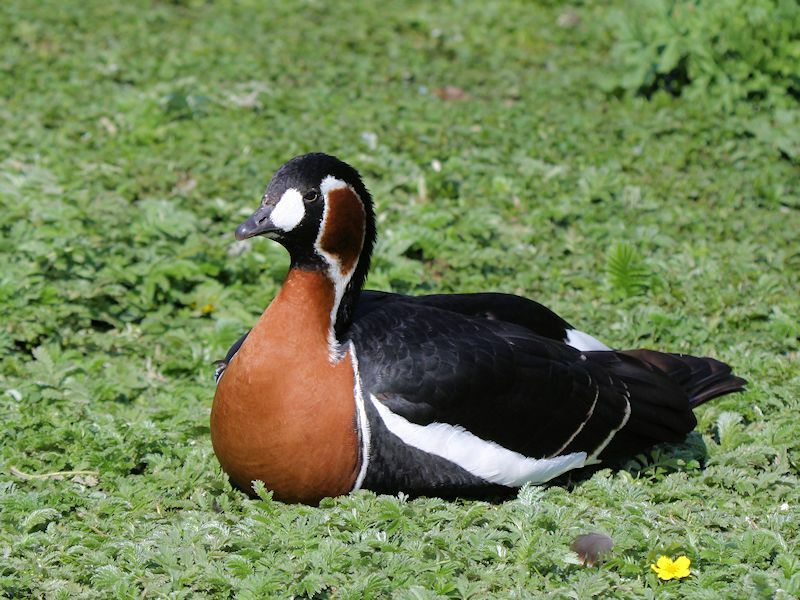 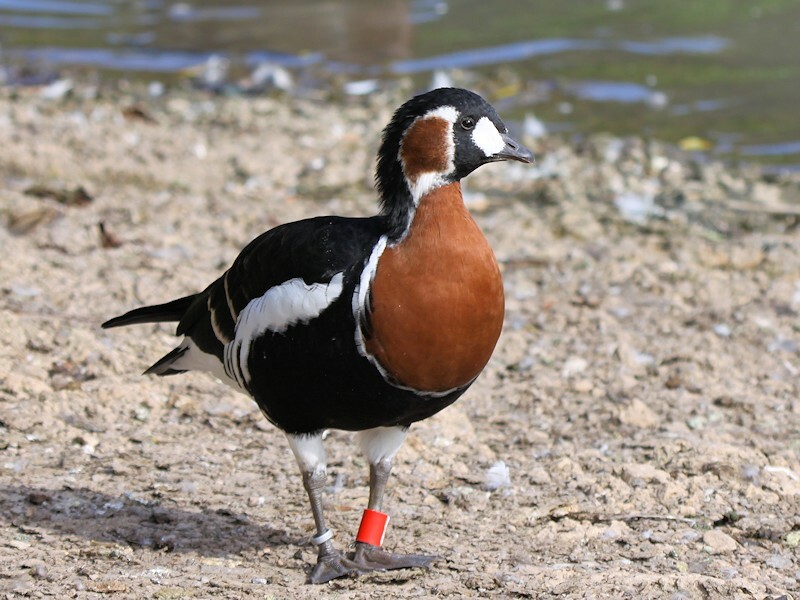 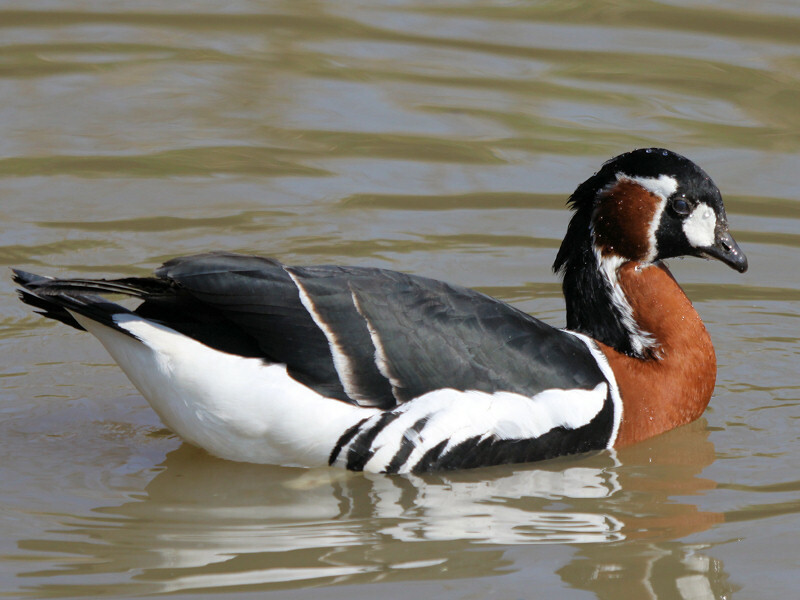 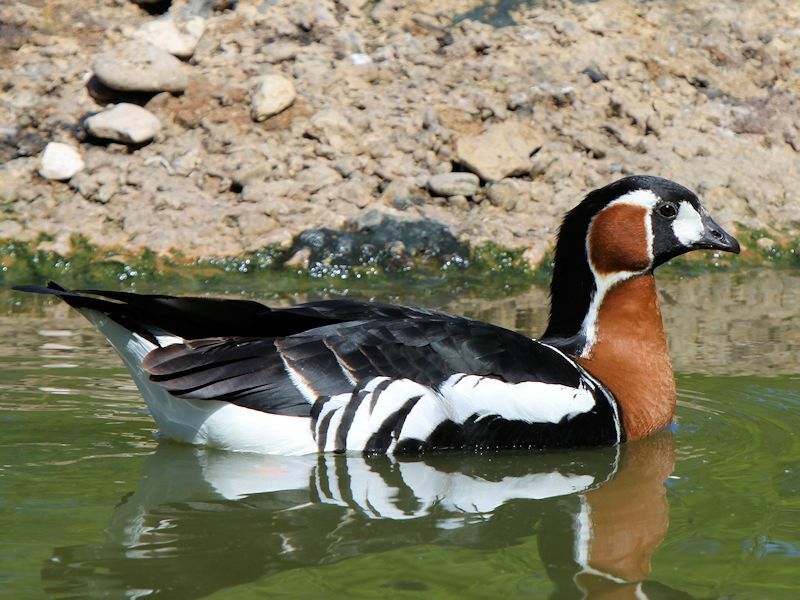 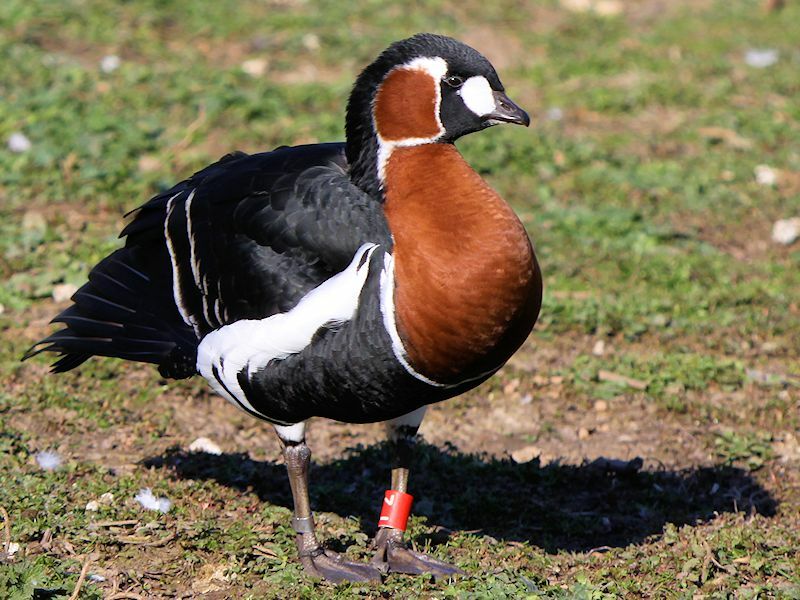 The Red-Breasted Goose is threatened by habitat loss and it has been in decline over the last few decades and is classed as Endangered.